In SAP S/4HANA Cloud, SAP has created a public cloud ERP suite for small and midsize enterprises. That means it’s time for some questions for SAP S/4HANA expert Stefan Batzdorf, director of presales for the MEE region at SAP Deutschland SE & Co. KG. 1. SAP offers different operating models for SAP S/4HANA. What options do customers have, and what are the main differences between them? SAP S/4HANA Cloud, meanwhile, is made available in a software-as-a-service (SaaS) format. 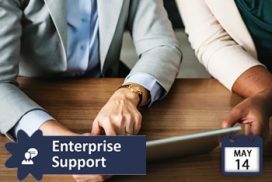 This means customers outsource the corresponding technology to the cloud, with SAP handling the system operations and providing updates on a quarterly basis. SAP S/4HANA Cloud thus offers all the core digital functions of an ERP system in various highly standardized editions designed for specific industries. That said, SAP S/4HANA Cloud and the on-premise version of SAP S/4HANA constitute the same product: The different variants of SAP S/4HANA were developed on the same code base and feature the same innovations. 2. Which companies are tending toward the on-premise variant? Since this version of SAP S/4HANA combines all of the software’s innovations with the full functional scope of SAP Business Suite – that’s over 80,000 transactions and reports – the on-premise scenario is often preferred by larger companies with complex structures. Plus, customers can modify the software to meet their exact requirements and expectations. The same applies when running it in SAP HANA Enterprise Cloud (see question 1). 3. What type of company should take the public cloud variant of SAP S/4HANA into consideration? What benefits does this option offer? 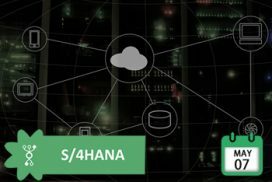 SAP S/4HANA Cloud will be of interest to companies whose core business involves standardized processes in areas like financial accounting, controlling, sales, and warehouse management – operations that don’t require any individual customization, in other words. Instead of continuing to spend a large amount of resources on having their own IT departments maintain such processes, these companies can outsource them to SAP’s public cloud and use SAP S/4HANA as a conventional SaaS solution. 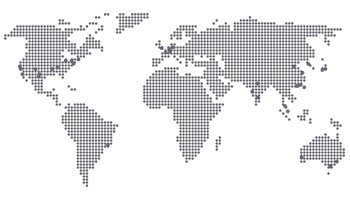 Each company can choose one of our highly standardized cloud packages and pay a monthly fee for SAP to handle everything from the hardware and software operations to enterprise support. Customers can also incorporate their own enhancements and applications into the software, but unlike with the on-premise variant, they can’t modify the SAP code itself. For a company with a production line in eastern Europe, for example, it doesn’t make sense to run its own server or hitch onto the on-premise system in use at its headquarters. In these cases, the public cloud is the better option. 4. What industry-specific editions of SAP S/4HANA Cloud are available? We offer our customers different cloud versions for different industry requirements. SAP S/4HANA Cloud for Professional Services, for instance, was designed to provide service companies with an end-to-end web experience, including everything from project creation and staffing to sales order processing, invoicing, accounting, and finance. SAP S/4HANA Cloud for Finance includes exciting features for companies and other organizations that deal much more with financial transactions than with logistics processes, such as those in the public sector. SAP S/4HANA Cloud for Enterprise Management, meanwhile, comprises all of these functions, which is why it represents the most “expansive” version of SAP S/4HANA Cloud. Then there’s the recently released SAP S/4HANA Cloud for Manufacturing, which is ideal for companies in that industry thanks to its corresponding process coverage. As part of SAP’s software stack, these cloud editions of SAP S/4HANA are based on the same technical core as the on-premise variant. They differ only in terms of their configuration and the highly standardized solutions they include for various industries. 5. What offerings are available to companies that want to get into the cloud, but need more functionality than what SAP S/4HANA Cloud can provide? For customers like these, SAP also offers a private option in connection with SAP S/4HANA Cloud. 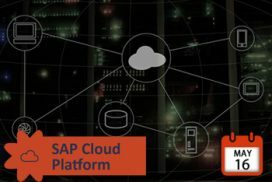 This arrangement combines the standardization, scalability, and total cost of ownership of the public cloud with the complete functional scope of an on-premise installation of SAP S/4HANA; it also runs in the form of a private cloud within SAP HANA Enterprise Cloud. For a parent company that runs SAP S/4HANA on-premise, for example, it makes sense to incorporate subsidiaries and acquisitions through the cloud. Here, the private option makes it possible to integrate all of a given subsidiary’s public cloud technology into the parent company’s structures. SAP S/4HANA’s uniform code base is key to this advantage. 6. Some companies want to run SAP S/4HANA on their own servers, but prefer to keep certain processes in standardized cloud operations. Is this possible? Of course. This hybrid approach is popular among larger companies because it offers the flexibility they need. The basic question they need to answer here is that of core or context – in other words, what are their core processes? And which are “context” processes that aren’t quite as essential to their business? Vital core processes that determine a company’s success (or even represent a unique selling point) should be run locally on an on-premise installation of SAP S/4HANA due to all the customization options this provides. Secondary processes that don’t require specific modifications, on the other hand, can be moved into the cloud. That saves the customer both the effort and the operational resources required. 7. What are the primary factors motivating companies to use SAP S/4HANA in the cloud at the moment? The main thing companies are looking at is that these days, they need to be able to facilitate innovations at a higher pace. If a CFO needs new analytics software, for instance, it should be ready to use in short order. Designing, developing, installing, and maintaining corresponding functions is often too expensive and complicated for a given organization. Meanwhile, SAP makes further innovations available and ready to use in the cloud every three months. Instead of worrying about configuration, administration, and other aspects of technical operations, IT employees can then focus on breakthroughs that will help advance their company’s interests. Right now, we’re seeing even fairly conservative companies inquire about the public cloud more and more often. I think it’s a concept that’s going to take hold over the medium to long term. 8. How should people envision the future of IT architecture at companies? Well, that depends. One thing that’s clear, however, is that through SAP S/4HANA and SAP Cloud Platform, SAP is making IT possible at two different speeds. SAP S/4HANA’s digital core is designed to offer a high degree of stability in running integral ERP processes that aren’t subject to constant changes. At a manufacturing company, for example, this might involve production, product lifecycle management, or logistics operations that are fine-tuned down to each individual process. Those who want to implement innovations and custom developments – especially in connection with machine learning or the IoT – can do so on SAP Cloud Platform. This is the environment where customers can try out new applications without affecting their core ERP processes. For end users, it all feels like the same software. 9. Which companies should consider SAP Business ByDesign for their cloud ERP solution, and which should tend toward SAP S/4HANA Cloud? One of the advantages enjoyed by those that run SAP S/4HANA in a two-tier model is that both a parent company and its subsidiaries can access the same functions and code base using the same data model. Every document coming from finance, purchasing, or production can be viewed and processed further right there in the group’s on-premise system. For subsidiaries that opt for SAP Business ByDesign, the data model is different, so such documents have to be converted. 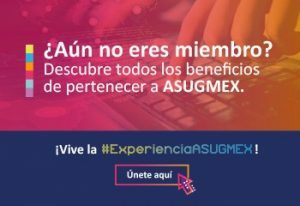 Using this solution can still make sense, however: If a subsidiary only has 50 employees who need to use its ERP system, SAP Business ByDesign is the better choice because the company wouldn’t necessarily take advantage of all the functions SAP S/4HANA offers. By the same token, if you have between 800 and 1,000 professional users who need to process large amounts of data, you’ll want to go with SAP S/4HANA Cloud; it’s more scalable and designed for larger customers. 10. How should companies handle their own custom developments? There’s no way to migrate your current custom developments just as they are. You can, however, replicate custom code in the cloud if the modifications in question are compatible with public APIs. This makes it possible to create your own tables within applications, add your own fields, and adjust user interfaces. In other words, migrating customer-specific code will require a minor project of sorts. Based on our experience in SAP S/4HANA migration projects, we can report that around 10-15% of custom-developed objects usually need to be adapted. The percentage is far less than 50% in the case of cloud projects, as well. 11. Are there any specific SAP S/4HANA Cloud projects you can tell us about? One company in the energy industry has already committed to a strategy based around SAP S/4HANA Cloud. Until a solution for that industry is also available in the public cloud, the company is planning to implement its system using SAP S/4HANA Cloud’s private option. This will enable it to make a full transition into the public cloud in the medium term without any major adjustments. There are also a number of automotive corporations that are implementing SAP S/4HANA in the cloud as a means of making their various entities more agile. 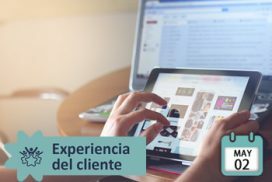 In one of these cases, the company’s main objective is to develop digital business models, which puts the focus on financial and project management processes. Another example involves a group that wants to use an incubator to move into new areas of business that don’t have much to do with its traditional core operations. At the same time, it believes that this division could soon be employing a thousand employees or more. In both of these instances, the customer has found a solution in SAP S/4HANA Cloud, while the parent company has opted for an SAP S/4HANA strategy. These examples show that public cloud solutions are playing an increasingly important role at major companies.